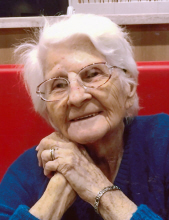 Emma Jean Ellis-Lamar, 90, of Vidor, TX died Wednesday, March 27th, 2019 at Vidor Health and Rehab. She was a longtime resident of Vidor and a member of the Eastern Star of Vidor. Emma worked as a beautician and enjoyed cutting hair. She also enjoyed baking. Emma was the oldest living Monarch of both the Ellis and Mansfield families and loved spending time with her children, great grandchildren and family. Visitation will be Friday, April 5, 2019 beginning at 6:00 p.m. at Memorial Funeral Home of Vidor. Funeral services will be Saturday, April 6, 2019 at 10:00 a.m. at Memorial Funeral Home with interment to follow at Mansfield Cemetery. Emma is survived by 1 daughter; Melissa Richard of Lumberton, TX, 2 sons; Archie Connor, Jr. of Vidor and J.R. Connor and his wife Eileen also of Vidor, 6 great grandchildren; Shelby McCurley, Madison Connor, Jordan Connor, Connor Richard, Kelsey Connor and Trace Connor along with 4 great-great grandchildren. Emma was preceded in death by her husband; John R. Lamar, 1 son; Robert Marshall, III, 1 daughter; Lynda Marshall Matte, and 1 great granddaughter; Ciara Rene' Richard. To send flowers or a remembrance gift to the family of Emma Jean Ellis-Lamar, please visit our Tribute Store. "Email Address" would like to share the life celebration of Emma Jean Ellis-Lamar. Click on the "link" to go to share a favorite memory or leave a condolence message for the family.